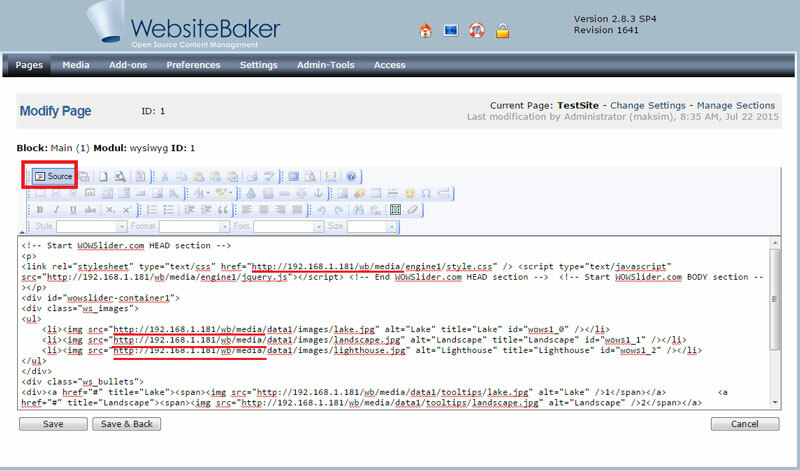 Want to quickly see how the open-source software Website Baker works? 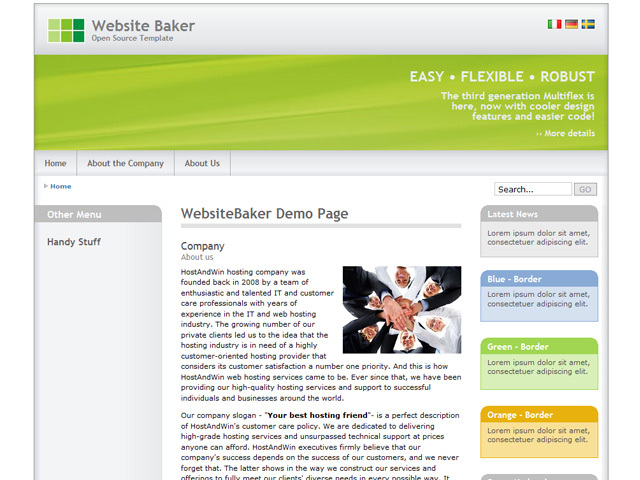 You'll find a free and updated demo installation of Website Baker here. Website Baker CMS is a free open source content management system created using PHP as a programming language, (X)HTML, CSS and jQuery. It was originally developed by Ryan Djurovich and launched in 2004. 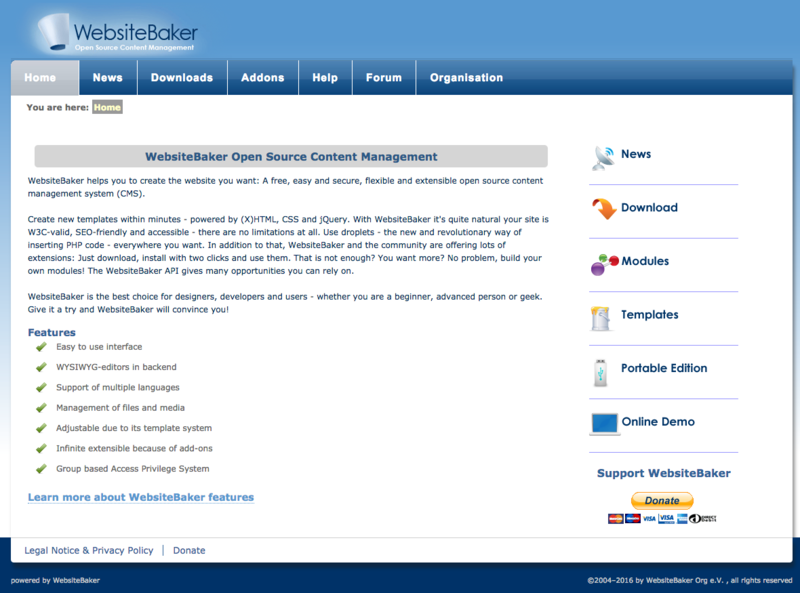 Version 2.2.0 of Website Baker CMS which became available on December 4, 2004 brought improvements to the Website Baker features, adding multi level pages, sections and multi-language support. One year later the founder announced that a non profit organization called Open Source Bakery will be in charge of the project and what was not accomplished, and teams responsible with development and maintenance of Website Baker CMS will also use their own SVN, instead of SourceForge. In November 2005, the first version created by the community, 2.6.0, was launched. 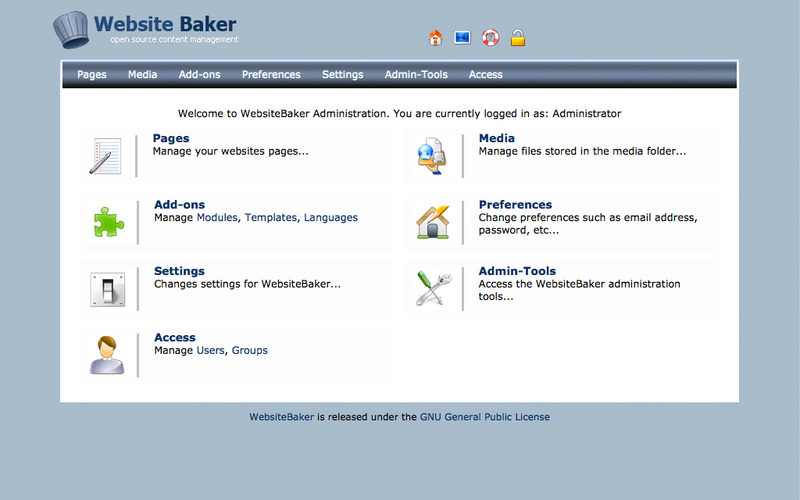 Website Baker features include an easy to use interface, backend WYSIWYG-editors, files and media management and assigning group based access privileges. Its powerful API allows you to expand Website Baker features through the installation of new modules and extensions. If you want to get a review of this content management system you can follow the link below to download the latest version. In order to successfully set up your Website Baker demo you will need to follow system requirements and use at least PHP5.6, although PHP 7.0 and higher is recommended. After you’ve completed the installation and set up of your demo site login to your admin demo and see what this CMS has to offer. The screenshots below give you a preview of how the admin demo looks like and how you can customize your demo site choosing different Website Baker themes. The latest stable release is 2.11.0 and was released in March 2018 under the GNU license. Use the download link below to get it and create your Website Baker demo, as well as download new themes or addons. Can you already tell when the Update is finished and the demo is available again? not possible to start the demo, whats happend? we’re working on it. I’m expecting a big update on our site within the next two or three weeks.